Twin Trees Hotel is now open for business! Formerly known as the Downhill House Hotel. Whether it is a family get away, romantic escape or activity break you will find everything you need at the Twin Trees Hotel, Ballina. Relax and unwind in the Twin Trees Leisure Club or enjoy a leisurely cappuccino in the hotel foyer, while the kids play in the hotel gardens. 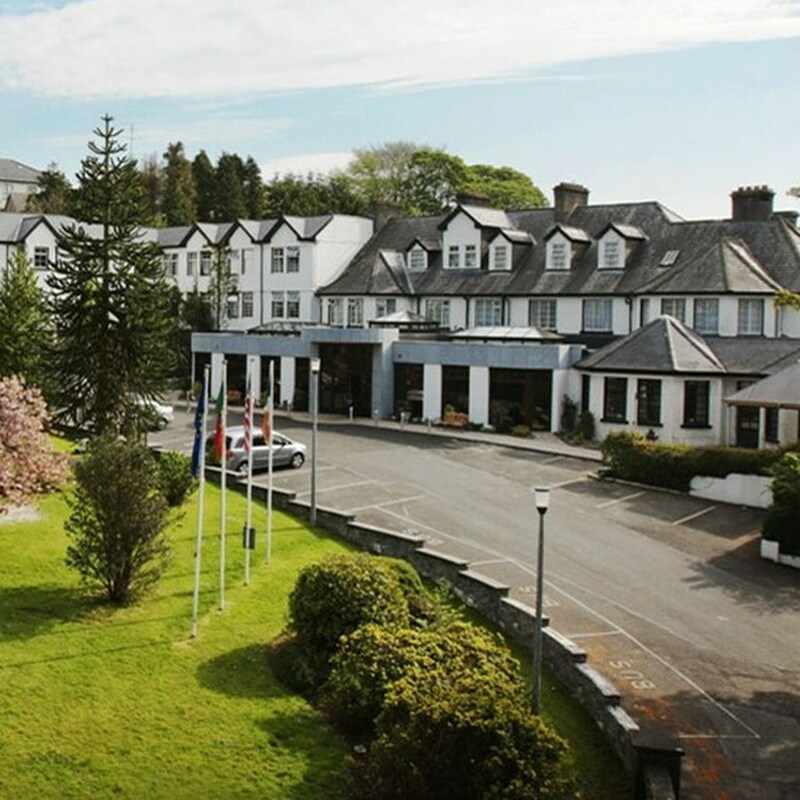 Whether you are in Ballina on business or treating your family, Twin Trees Hotel is your perfect touring base, in the heart of Mayo and on the Wild Atlantic Way. Ballina is well served by bus and mainline rail. Ballina is also accessible by flying into Sligo, Knock or Galway the hotel is on the Downhill road in Ballina. Ballina is a warm, welcoming, hospitable town, a happy place that has its own distinctive relaxed atmosphere. The area has some of the most varied and breath taking scenery in Ireland. The shopping is wonderful, with a huge variety of excellent restaurants and pubs offering a selection of food, entertainment plus atmosphere which will please every taste. All this plus a Championship golf courses and fabulous beaches make Ballina an ideal holiday location. Nice hotel friendly staff, room old fashioned but fine. Excellent play room available but sadly no DVDs working in it. The pool was lovely but the changing area badly needs updating. Hi, stayed at this hotel for a 1 night stay a week ago and would definitely stay here again and recommend it. From the moment we checked in we were made feel so welcome, the lady at reception, Christine was so pleasant and helpful. We ate in the hotel bar that evening, we really enjoyed our meal, beautifully presented and tasty and a good price point, very nice waiter also. The hotel has a lovely garden out front, so nice to sit in and enjoy. It is just a 10 min max walk from the town of Ballina which has plenty to suit everyone, for families the town playground is about a 5 min stroll from the hotel, a lovely playground and walking area. The sea side town of Enniscrone is about a 15 min drive, very nice if the weather is in your favour. This hotel also has a pool but we didn't get to use this as we just didn't have the time so I cannot comment on that facility. The room was lovely, nice and clean, very comfortable beds, good shower, I think we were in the re furbished part of the hotel it looked newer than some other parts of the hotel. Live music in the bar that evening, very enjoyable. Had a good breakfast the next morning, a buffet style breakfast. This hotel is located in a very quiet area so very peaceful. Overall we had a great stay and as I said at the beginning of the review we will definitely stay here again. The only negative thing that I can say about this hotel is there was a tour bus parked at the front of the hotel which was directly below our window so as that tour was leaving early in the morning, approx. 8.30am there was a lot of noise from 7.45am onwards both from the bus and the people travelling on that bus which unfortunately woke us up. I noticed on a stroll the previous evening that there is a large car park belonging to the hotel about a 2 minute walk from the hotel, perhaps the tour buses could park here overnight and pick up there passengers at the entrance to the hotel rather than having a tour bus leaving its engine running outside the hotel for 45 minutes and which in turn wakes other hotel guests up. I know 7.45am is not extremely early but as a mother of a 3 year old I don't get lie ins very often so on this occasion I was not overly happy to get a 7.45 wake up call. Prehaps ask for a room at the back of the hotel which should eliminate this problem. Nice family hotel in a quiet setting, friendly staff. Great base to visit the beautiful area. Breakfast could be better. We would stay there again! We stayed at The Twin Trees hotel last weekend (end Jan 2017). Family of five along with my elderly parents. Really enjoyed our stay here. Fine big spacious, warm and clean room. All staff were extremely friendly, polite, helpful and courteous from the receptionist, to leisure centre, to bar and accommodation. 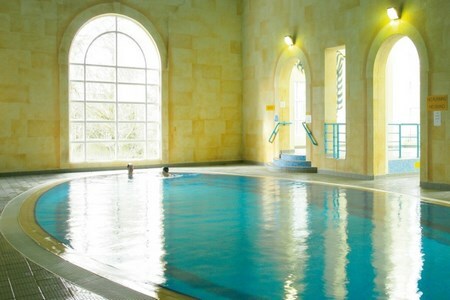 Lovely pool, sauna, steam room and Jacuzzi although changing rooms a little dated. 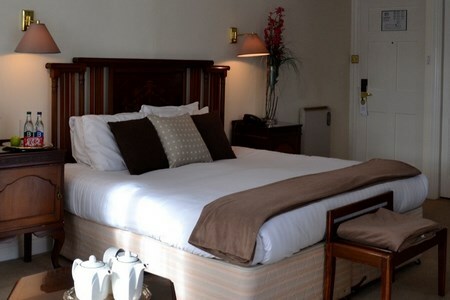 Some of the hotel has been modernised and some still a little old fashioned. Great location with a beautifully cascaded river running alongside the hotel and a ten minute walk to the town centre alongside the picturesque River Moy. Good value for money. MD. The hotel was warm, the staff were friendly and the breakfast was excellent with a wonderful view of the river. Our visit was short but we would return again. The Hotel Leisure Club was very nice, so we availed of the swimming pool every day. The location is very good too: nice and quite, but still very close to the town center. The staff was very friendly and Breakfast and Dinner were good. Although the dining room could be a bit warmer as it was a bit chilly, especially in the morning. had a very enjoyable stay at the Twin Trees. Hotel staff friendly and helpful, food very enjoyable. Leisure facilities were great for families. Would stay again! Excellent hotel. Staff are very friendly and very helpful. Every effort is made to make you stay relaxed and enjoyable. Excellent leisure facilities. Excellent food. Located on the quiet outskirts of Ballina town however shops, pubs and restaurants are all within walking distance. Well worth a visit. Already looking forward to another visit. Very friendly staff, good quality bar food, overall I would say a positive experience and value for money. Hotel has a lovely setting, staff friendly. rooms fine, breakfast v good. No complaints would recommend this hotel to others! a lovely family friendly hotel. Rooms nice & clean staff extremely friendly and food was excellent. We were a family of 2 adults and 3 children, Stayed here in May12, found the room to be nice not modern or maybe we just got the old part of the hotel. The restaurant we found was unsatisfactory took ages to get our food. Food standard were very basic. We unfortunately were kept awake with a wedding party until 3am. Wouldn t rush to come back here. Lovely friendly hotel. Their system did not take note of our Family Request 2 adults & 2 Children and had us booked for just 2 adults. But very helpful staff. Hotel a bit musty in parts - but lovely place to visit. The staff at the hotel are exceptionally welcoming and friendly. The facilities at the leisure centre were not great, the changing rooms are in desperate need of an upgrade. The shower in the bedroom was extremely old and the water pressure was terrible. Great rooms, friendly staff, convenient location, lots to do...my only gripe is that breakfast staff were a little loud and shouted at each other from across tables. You could even hear them in the kitchen shouting at each other. However, they were very extremely friendly.